How it Works Weekend Schedule Taste The Cause Courses Incentives Photos and Videos Need a Bike/Hotel? What a celebration we had on 11/15 at Ballpark Village as we revealed our incredible $4,524,521 donation for this year! Thank you to all who came out to help us reveal and revel – it was an incredible evening. 2018 was our biggest event ever, with the most riders and volunteers, and with the most generous donors in our history supporting our participants fundraising efforts. Our ninth year was truly extraordinary. Thank YOU Pedal family for making it such a success. As we turn the page to celebrate our 10th year in 2019, it is so important to recognize how Pedal the Cause came to be! Two-time lymphoma survivor Bill Koman and his wife Amy had a dream to create a way to give back to Siteman Cancer Center after Bill’s battles with cancer, and Pedal the Cause was born. Not only is their team, Bill’s Angels, perpetually a top team, but support from the Bill and Amy Koman Family Foundation has been the bedrock on which our organization was built. When Bill was diagnosed, funding cancer research became their passion, their mission, and their way of life. The Koman’s giving spirit has made Pedal the Cause possible and we are so thankful for all they have done and continue to do to create a world without cancer. Pedal the Cause Associate Director of Development Tania Facemyer has announced she will be leaving our organization at the end of 2018. We are sad to be losing a great talent, but are happy for Tania and her family as they move to Tennessee to pursue new opportunities. Tania has been part of our development team full-time since 2016, and prior to that had interned with us in 2013. 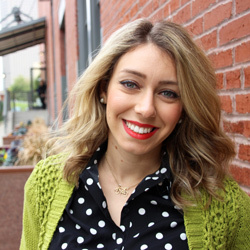 Her attention to detail, ability to create and streamline processes, and her cheerful energy and kind spirit will be missed greatly by our small team. Her contribution to Pedal the Cause will live on through so many of the teams she has supported, motivated and helped to grow over the last few years. Thank you Tania, and best of luck on your next adventure! Now through 12/17, shop the PTC Shop for all your holiday gifts! Use the code HOLIDAY18 and receive 10% off your entire order. Make sure to place your order by 11:59pm on 12/17 to qualify for the discount and to receive your order by Christmas. And don’t forget…use Amazon Smile for all your Amazon purchases, and a percentage of your orders can fund cancer research through Pedal the Cause! This year was Pete’s 7th year riding in Pedal the Cause, and his 2nd year as a Yellow Jersey! In fact, he raised the most he has ever raised this year – $3,655! As a rider on team Alicia’s Army, Pete participated in the Ride for a Child program and bonded with their child Matthew. As he says, “I ride in honor of those that have lost the fight. I ride to encourage those that are locked in the fight. 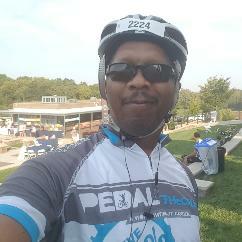 I ride because you and I may one day need to fight.” Way to go, Pete! Our sponsors make Pedal the Cause possible! 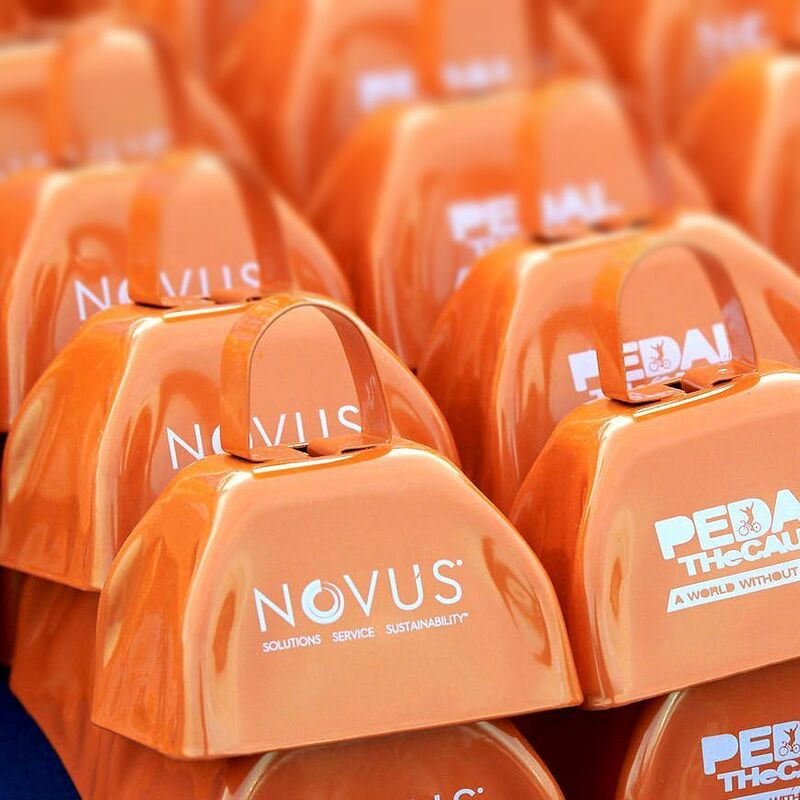 Novus International has been a Pedal the Cause sponsor since 2017. This year, they supported our efforts to raise money to fund cancer research as the official cowbell sponsor. Team Novus has been hitting the road in force since 2014, raising just shy of $30,000 in 2018! That brings their team total to an incredible $119,831, and they are now members of the Bronze Impact Society. 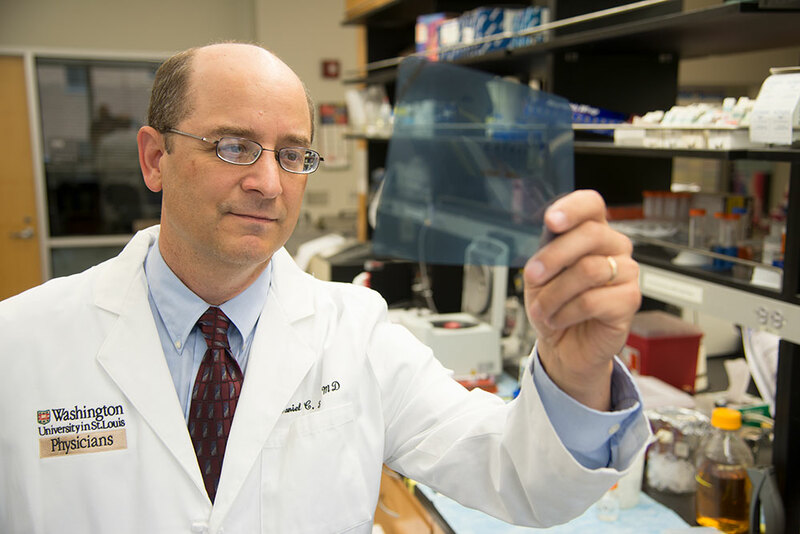 Thank you Novus, for your passion and dedication to create a world without cancer!